When is the Best Time to Buy a Business? If we’ve learned anything from used car salesmen over the years, it’s that there’s always a “right” time to buy. A right time to buy from the seller, and an even more right time for them to profit. Really, the seller is almost always wanting you to buy – right then and there. The logistics might change, like prices and promotions, or interest rates, maybe even what’s for sale or how quickly it needs to be gone. But aside from a few changing factors, for the right price, pretty much everything is for sale – that’s just a smart way to do business. Or so the suit wearers would have us believe. But from the buyer’s perspective, things are a little different. Cash flow changes, sometimes you have to pay higher down payments, or play by different bank rules. And just because someone is selling doesn’t mean it’s “the right time” to buy. Depends on your unique situation. What you’re buying, when you’re ready to start your business, how much is costs, what type of experience you have, and any other unique factors that might be contributing to the cause. Perhaps your biggest factor of all will be finances. If you can get credit approval (or investors who are on board), great. If not, it’s time to wait until you can get that sorted out because without the means to buy it, you won’t have a business. Other things to consider: your previous job/career – when it’s ending and how soon you can start with your own company. Any big shopping or event holidays that would work for an opening event. Necessary skills or training that you don’t have, but are necessary to run your business, and how long they’ll take to master. How long it will take to find trustworthy employees, if needed, and so on. 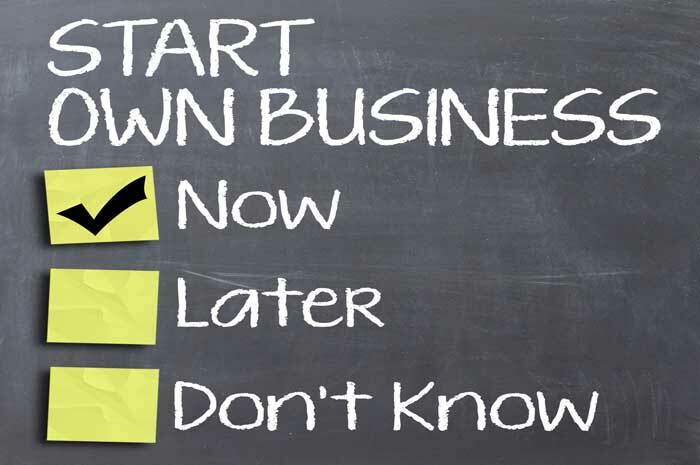 When buying, you should also have an idea as to when you want the company to be up and running. Get the basics underway as soon as possible (without getting too far ahead of yourself) to speed up that timeline, especially when signing paperwork might slow you down. But most importantly, it’s about your running a business that you love. Sometimes our dream jobs don’t come to us in the way we imagined, or even when we’d like them to arrive. Happiness trumps all, and so long as everything else is steadily in place, it should be the most important factor when determining your professional plans. Keep that in mind above all for a successful way to buy … whenever the right time is for you and your respective business.